You know the routine, and could surely fill in your own back-to-school experiences. To be sure, it’s not easy reality to manage, anxiety levels are high, stress is growing, and the reality of change is not an easy pill to swallow. So, how can we all manage this time of the year in ways that are sync with God? Here are a few tips on riding the back-to-school wave with Grace. And by that I mean, don’t let this time of the year erode your sense of peace. In times of stress, it’s easy to get into a tailspin of short tempers, stress, and anxiety, often majoring in the minors, and minoring in the majors. Try to keep you perspective and rest in the reality that God is at work and will surely guide and provide your way through this stressful time. 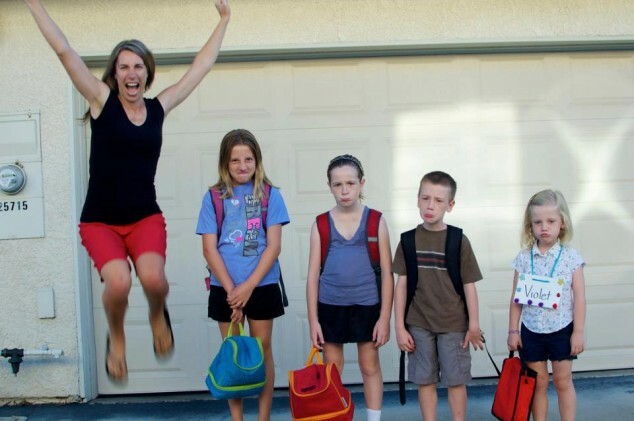 Your attitude towards “back-to-school” will set the temperature in your family for how everyone else handles it. If you are calm, cool, and collected, chances are that will help minimize the overall stress level for the rest of the family. Remember, you are already perfect in Christ, you don’t have to perform perfectly nor does everything have to come together perfectly. Don’t miss the forest from the trees. Enjoy this time, even the stress of it, one day, you will be wishing you could have these days back again. 2) Keep communication lines open and active. “Back-to-school” is an important time to go above the call of duty to make sure everyone is talking, expressing, and communicating feelings and needs. Making sure to initiate conversations among family members will be critical. Repeatedly asking questions like, “So, how are you feeling about all this?” “Hey, is there anything we are forgetting?” “So, how are you handling things?” will be valuable tools before, during, and after the “back-to-school” whirlwind. So many negative situations can be prevented or diffused from becoming a problem if communication lines are open and active. 3) Speak out your faith for the new school year. In addition to praying together, I think it’s incredibly valuable to speak out statements of faith over the “back-to-school” experience. When you and your family speak and hear declarations of faith, it releases God to work and uplifts everyone who hears them. Statements like, “I believe this new year is going to be full of blessings and wonderful surprises from God” “Lord, I thank you that you have gifted my children with great minds that will excel in learning this year.”Jesus, I thank you in advance for working all things out for our good and your glory, covering my children with your protection and purposes” will have a supernatural effect on the “back-to-school” atmosphere of your family. Asking your children, “What are you believing God for this new year in school?” is a great way to get things started. So, what would you add to this list?